Hi! We are Matsuriya in Kyoto! Come play traditional Japanese games with us! People of all ages are welcome! 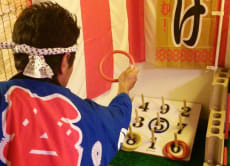 Come join our facility "Matsuriya" in downtown Kyoto to enjoy playing traditional Japanese games!